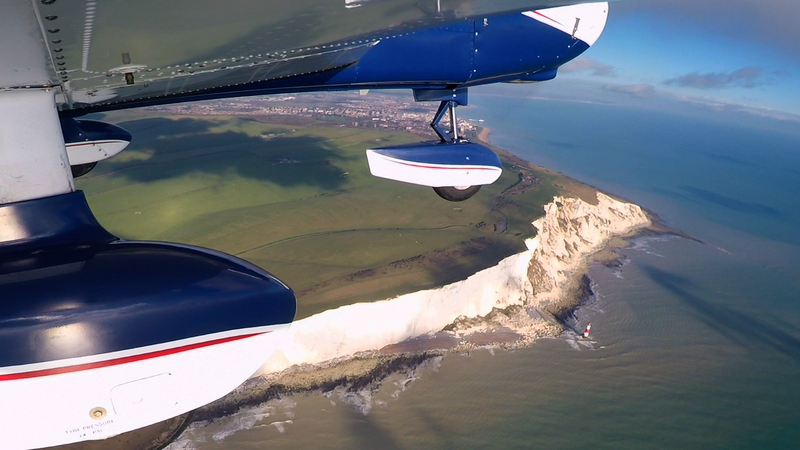 Crossing one of the busiest sections of UK airspace in a light aircraft can appear a daunting prospect, but in practice it’s not as difficult as it might seem. On this trip through London Gatwick’s Class D controlled airspace I had an expert in the cockpit with me – an air traffic controller who works in the tower at the airport. 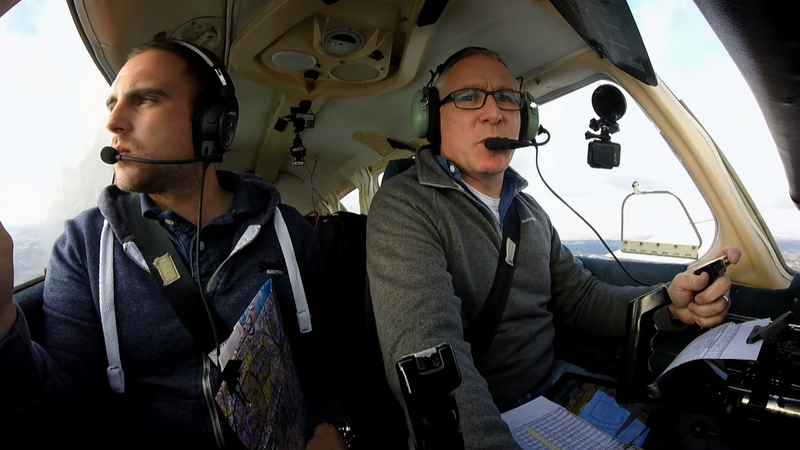 Sam Jillians is an ATC Watch Manager for Gatwick and a private pilot. Sam has been following the Flying Reporter channel, and contacted me asking if I’d like to go on a flight. At first, we both agreed on a trip to Turweston aerodrome, but when it became clear that the low winter sun might cause a problem for the return journey, we opted for plan B. It seemed obvious that we should do a transit of Gatwick’s airspace, because that way we could learn a bit more about what goes on behind the scenes there, when a slow moving PA28, piloted by someone like me, calls up for a transit. Biggin Hill, where i’m based, is Gatwick’s neighbour, so the flight over there doesn’t take long. That means though, that everything happens very quickly. Take off, climb, change frequency, receive ATIS, call up for transit all happens within a few minutes. For this reason, we’d briefed the trip on the ground, expecting to be routed overhead the airfield via the Buckland VRP. As you’ll see in the video though, Gatwick Director had another plan. 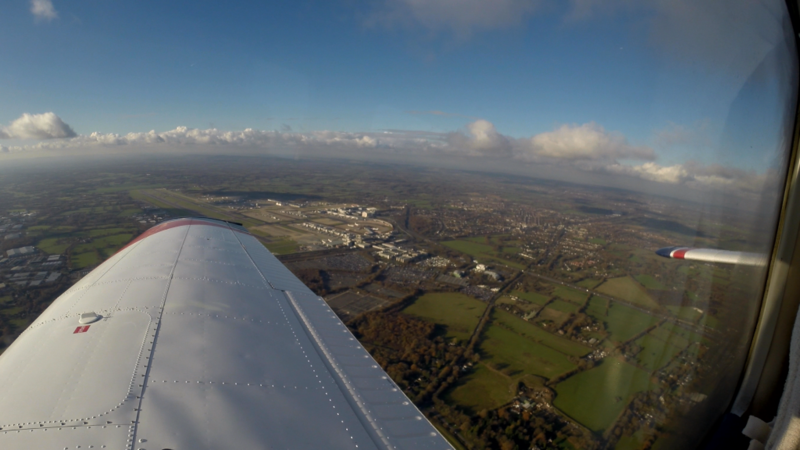 There was a bit of confusion at first, as I was trying to avoid the Redhill ATZ which I hadn’t received clearance to transit, however it was all resolved reasonably quickly, and we made our way, sharing the airspace with Easyjet passenger planes. 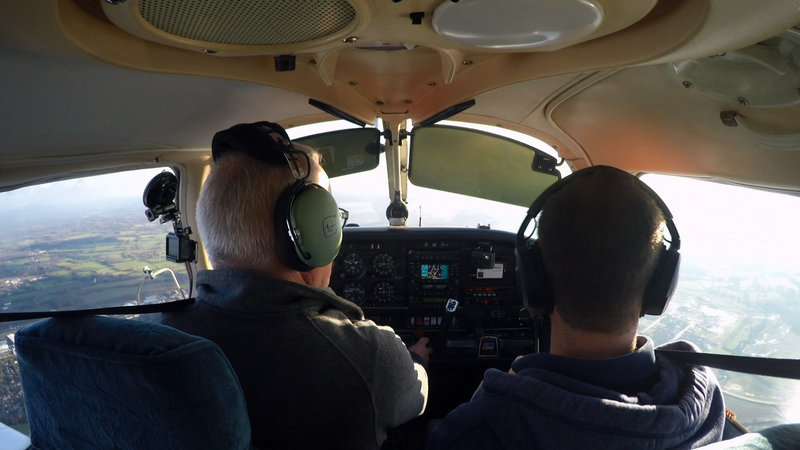 In the video, Sam shared some details about the practicalities of a class D zone transit from a controller’s perspective and reminded me of the strict weather minima – under EASA regulations, there must be a cloud ceiling of no lower than 1500ft, and 5km visibility. It was a great flight, and a pleasure to meet Sam. 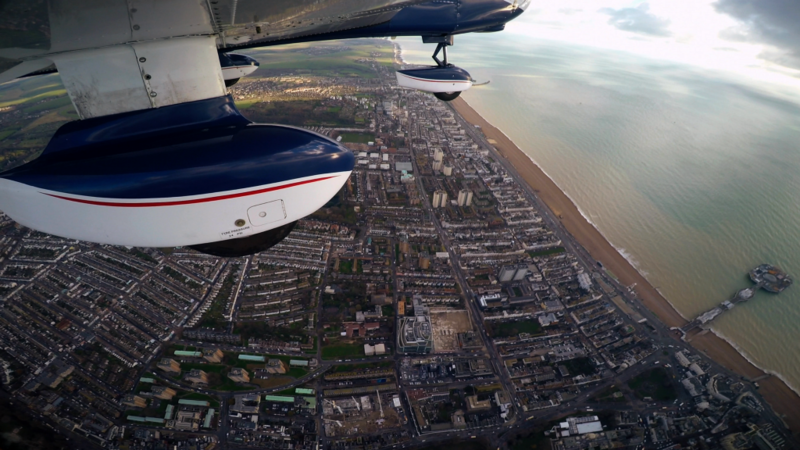 We enjoyed wonderful views of Brighton and Beachy Head as we continued our journey along the East Sussex coastline. 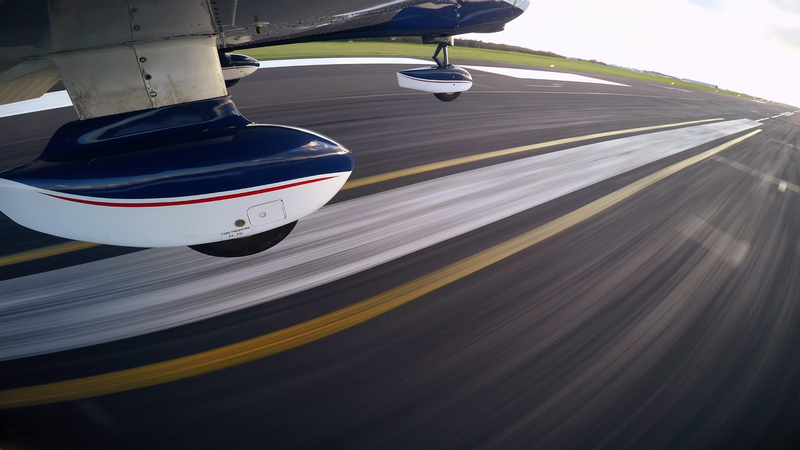 My new exterior mounted cameras are giving some fantastic views, and help me to review and refine my landing technique. Patreon followers can watch an unedited version of the transit from take off at Biggin Hill. 4 Comments on "Crossing Gatwick airspace with a controller on board"
Nice film again Jon. Really interesting listening to your friend about the procedures at Gatwick, sounds like it must get pretty stressful at times. I seem to remember on one of your previous films when you requested a transit they completely ignored you? Yes, they were busy that day. I should have called again.